Google has announced its timeline for closing its social network Google+, and the process is starting very soon. For example, if (for some reason) you were thinking of signing up to experience the ailing social network before it’s gone for good, you’ll have to do it before February 4, when Google will remove the ability to create new profiles, pages, communities and events. 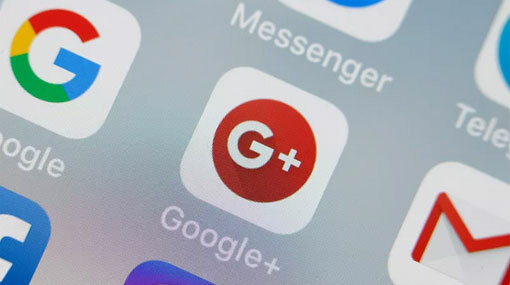 The Google+ comment feature will disappear from Blogger on February 4, and Google+ comments on all sites will begin vanishing into the ether on April 2. Google+ sign-in buttons will also vanish from sites over the coming weeks (being replaced by regular Google login buttons in some cases). You can download your own Google+ data using Google Takeout, which lets you grab your personal information from all of Google’s sites and services. If you’re a community owner or moderator, you’ll also be able to grab the author, body text and photos for every community post from early March. On April 2, the doors will close for good, with all accounts and pages shutting down. Google will begin deleting content from accounts, including photos and videos from users’ Album Archive and Google+ pages. Anything you’ve backed up to your Google Photos account will be safe. Google announced the impending demise of Google+ in October 2018, seven years after it first launched. The decision followed a catastrophic data breach, which left the personal data of 500,000 users exposed to third-party app developers. The bug was patched in March 2018, but after the discovery of another security flaw later in the year, the company decided to shut the service down. Despite the bugs, Google has said that it found “no evidence that any developer was aware of this bug, or abusing the API” and that is has “found no evidence that any Profile data was misused”.